There are many varied, exciting and truly captivating books about Patagonia, whether they deal with indigenous history, early exploration, modern travel or historical fiction. We are strong believers that by reading a few key pieces of literature before and during your trip, it will change your perception of this extraordinary corner of the world and enhance your whole Patagonian experience. The incredible tale of two hugely influential men - Captain Robert Fitzroy and Charles Darwin, the voyage of the Beagle and the plight of the native indigenous people of Tierra del Fuego. An excellent read for those that don't want heavy history but a wonderfully told story. Written by one of Chile's most famous authors, her second book, set during the dark days of the Pinochet dictatorship, tells the story of two journalists prepared to risk everything for justice and truth. An extraordinary story from a classic old British sailor and explorer or sailing the Atlantic, negotiating the Magellan Strait and crossing the Southern Patagonian ice-field. A light hearted and entertaining read of travelling the length of Chile; the book also lends itself to gaining some background knowledge on Chilean history and culture. This beautiful guide full of maps, charts and diagrams is a must have for anyone with an interest in Chilean wildlife. Learn about the best places to view wildlife; with information enabling quick field identification, you will have the best chance to spot as much wildlife as possible while in Patagonia. John Pilkington beautifully details his 8 month backpacking trip along the Andes and through Patagonia. 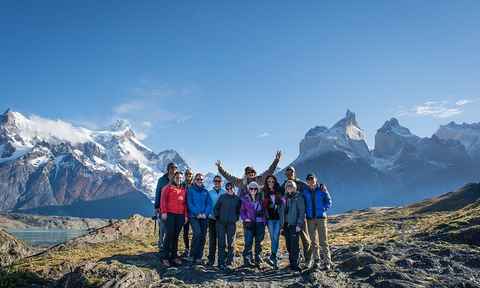 Spurred on by the tales of legendary adventurers such as Ferdinand Magellan and Captain Fitzroy, Pilkington sets out to lift the veil on the mystery surrounding Patagonia. 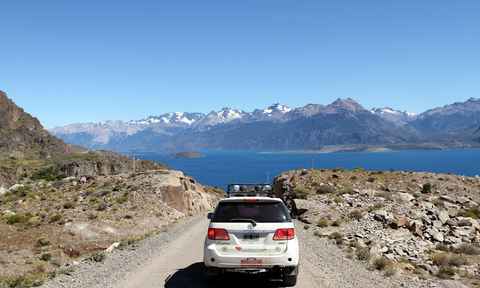 Read Tom's full review of An Englishman in Patagonia in our magazine. Of course no list is complete without this classic. In Patagonia, although more of a literary phenomenon then something hugely insightful about the kind of places you'll see in Patagonia, has some wonderful descriptions of characters and experiences. At Home with the Patagonians (George Chaworth-Musters, 1871) – Muster’s own tale of travels in Patagonia and living with the indigenous Tehuelche people during 1869. The Old Patagonian Express (Paul Theroux, 1979) – a classic. The Uttermost Part of the Earth (Lucas Bridges, 1948) – a captivating account of the early days of Ushuaia and life amongst the, now vanished, indigenous peoples of Tierra del Fuego. 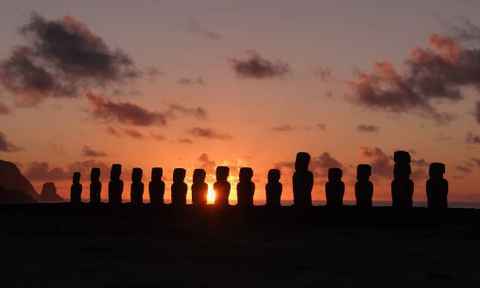 Most Chilean and Argentinian people in the tourism industry will speak very good English, and your guides will always be Spanish-English speaking unless otherwise specified. If you're travelling more independently then some basic Spanish skills will serve you well, particularly in arranging things like transport and accommodation. If you don't speak Spanish, we'd recommend coming prepared with a good English Spanish dictionary, as well as some knowledge of some basic phrases. Taking a short course in Spanish was one of the most worthwhile preparations I made for my trip to Patagonia. Just having a few lessons was enough to arm me with some useful vocabulary to help me out of the odd tight spot! The locals really love the fact that you are making the effort to converse in their language. The trip is booked, you're fantasising about the new trekking gear you should get, and you're hungry to find out more about Patagonia. Here are a few recommendations to inform and inspire you before your big trip. In Patagonia charts the journey of an elderly Argentine lady exploring her roots in Wales, and a Welsh couple visiting Patagonia. It is filmed mainly in northern Patagonia, around the Chubut Valley with some incredible shots of the steppe, and in the beautiful landscape of Wales. 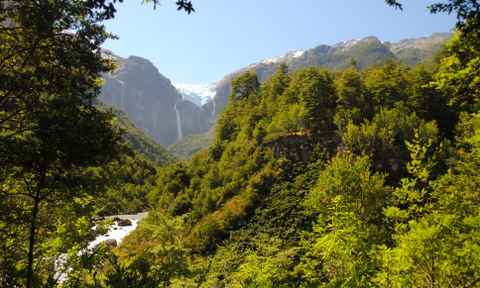 It received mixed reviews, but the shots of northern Patagonia are stunning and we certainly enjoyed it. The 10 day race may not be everyone's cup of tea, but this is a good one to enjoy from your armchair. The race is run in southern Chilean Patagonia every year, through both iconic national parks and areas that are very rarely seen. You'll be wowed by the landscapes as much as by the endeavours of the participants of the race. A short video of Chile and Patagonia filmed by a couple whilst on a 5 week trip exploring the country. With some beautiful landscape, scenery and wildlife shots, this film has a personal feel and lets you experience what your own trip might be like. This film follows two elite rock climbers, Tommy Caldwell and Alex Honnold, in their attempt to climb the The Fitz Roy Traverse: one of the most sought after achievements in modern alpinism. This entertaining and inspiring film is a must see for its stunning views of the Fitz Roy Range and surrounding areas.